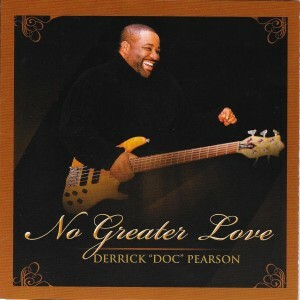 No Greater Love, a CD/DVD retrospective of the IAM Music Company of Clinton, Maryland, is a celebration of the company’s ten years of existence and a greatest hits package for IAM Music’s co-founder, Derrick “Doc” Pearson, who participates in one way or another on all of the Scripture-based music selections. A versatile bass player, singer, songwriter, and producer, Pearson (“Doc” stands for Disciple of Christ), cut his musical teeth on 1970s and 1980s soft soul and funk while working with the likes of the O’Jays and Whispers. The songs on the 19-track CD reflect that heritage. 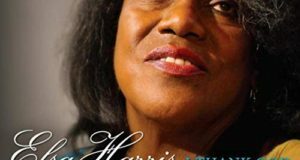 Chime-y electric piano, brassy flourishes, soulful lead singing, and Pearson’s thumping bass give the listener a sense of what Commissioned might have sounded like had Peabo Bryson or Deniece Williams been its lead singer. There are, in fact, many quality soloists, male and female, on the CD. Tahesha Jones and Cherlita Claiborne contribute lovely vocals to “Eternal Praise,” a song ideal for a Christian dance team. 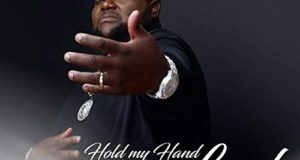 The late Al Johnson (formerly of the Unifics) leads “The Stone Has Been Rolled Away,” a modern ballad that starts with a plaintive depiction of Christ’s crucifixion and moves incrementally to a brighter sound in anticipation of Christ’s Easter Sunday rising. 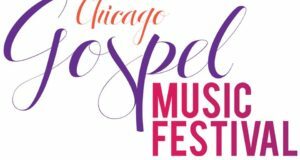 Another song worth mentioning is “Worthy Is the Lamb,” which features fantastic vocal exchanges between the Arc of Safety Mass Choir of St. Louis, and lead singers Johnson and Minister John Butler. The second disc is a DVD of videos of other songs from the IAM Music Company catalog. Despite Pearson’s top-shelf bass playing, which stands out on the uptempo tracks, such as “Order My Steps” and “Hold On (Trouble Won’t Last Always),” and despite the variety of music styles represented on the project, (Caribbean to jazz to R&B), the inspirational ballads are what sell the package.